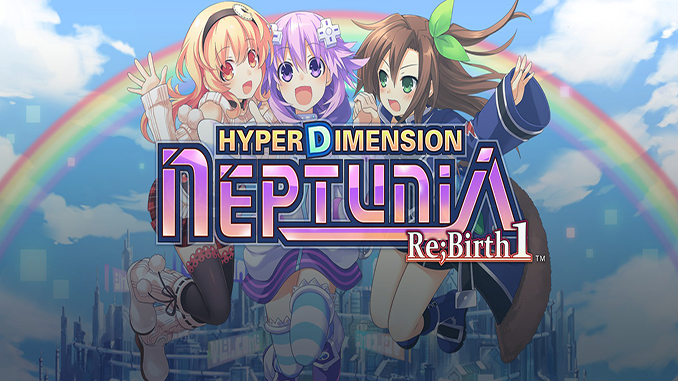 – Previously only available on consoles, now you can immerse yourself in the zany JRPG madness of the Hyperdimension Neptunia series for the first time on PC! – Major graphical updates let you savor the true power of these Goddesses in glorious HD! – Battle with up to 3 characters on the field, with 3 more as support. Use them to perform special attacks, or swap them out at any time! – Use “Plans” to customize the game – change up enemy difficulty, dungeon treasures, and more! – Craft unique equipment imbued with one or more abilities! In the world of Gamindustri, four goddesses known as CPUs battled for supremacy in the War of the Guardians. One of the CPUs – Neptune – was defeated by the others and banished from the heavens. In her fall from grace, her memories were lost but a mysterious book reveals itself to Neptune with knowledge of all of Gamindustri’s history. umm gog huh???? i dont know what it means…. Donald, If you want to play DOTA and not DOTA 2, you need Warcraft 3: Reign of Chaos, the expansion to it (Warcraft 2: The Frozen Throne) and then download the DOTA custom map. If you want DOTA2, it’s a free game on Steam. Just grab it off of there. could post star wars dark forces? I cant get the controls to work. Confused on how to even get my character to walk? could you please upload assassin’s creed games, eg. AC Rogue, Black flag etc. Hello! So there were NEW DLCs for this game, namely the “Oracle DLC”, “Bonus Colosseum DLC” and the “TAG ALONG DLC”. I just wanted to ask, if it will be available here. I have a problem. In Chapter 2 after defeating Slash Dog the game doesn’t loads up properly after the story dialogues take place and remains In a black screen (the skip/stop buttons and the config button still work though) Is there a way to fix this? I’m reading all these comments and I almost can’t believe how nice and attentive you people at freegoggames are. Hello, is there any updates regarding the newest dlc that has been released this year? Have there been any updates regarding the newest dlcs (Colossus etc)? I download the dlc pack and it run normaly but whet I disabled the dlcs in game and tried to enable them again it said it requirse purchase can you please help me ?